In other alarming news (what sort isn’t? ), this video may put you off prawns. 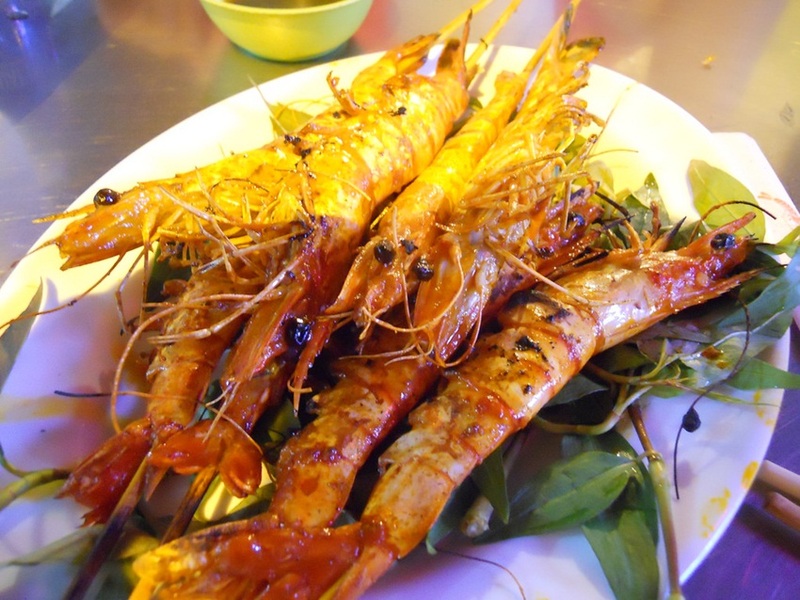 Especially if you’ve just planned a vacation in Vietnam, the land of the tiger prawn. The video, shot by a TV station in Vietnam, shows workers at a factory injecting gel into its smaller tiger prawns to make them look bigger. The gel is seen being injected into the tail and the head of the prawns. What’s in the gel? Carboxmethyl cellulose (CMC) or cellulose gum, which is water soluble, is used as a stabilising agent in fondants and cake icing and ice creams and the dough used to make biscuits. A report by the United States Food and Drug Administration (FDA) suggests that cellulose when consumed in large amounts reduces the nutritional value of the food they’re found in and could possibly cause an upset stomach due to a laxative effect. Several classic Vietnamese dishes including what could be defined as the country’s national dish – pho – glass noodle salads, curries and soups are served with prawns. In fact, so popular are their tiger prawns both within the country and outside that it has led to intensive prawn harvesting and farming for export, at the cost of mangroves being destroyed. Environmental journalists have for long questioned prawn and fish farming practices in Vietnam, but clearly, this recent video only goes to show that the craze for jumbo prawns is nowhere close to being diminished. Let us just say that we hope that the trend of making prawns look bigger by injecting gel into them doesn’t pick up at fish markets across the country here in India. We’ve got wax on apples, thickening agents in milk and thankfully, potassium bromate in bread was banned by the Food Safety Standards Authority of India (FSSAI) earlier this year. gel-injected prawns are the last thing we need.